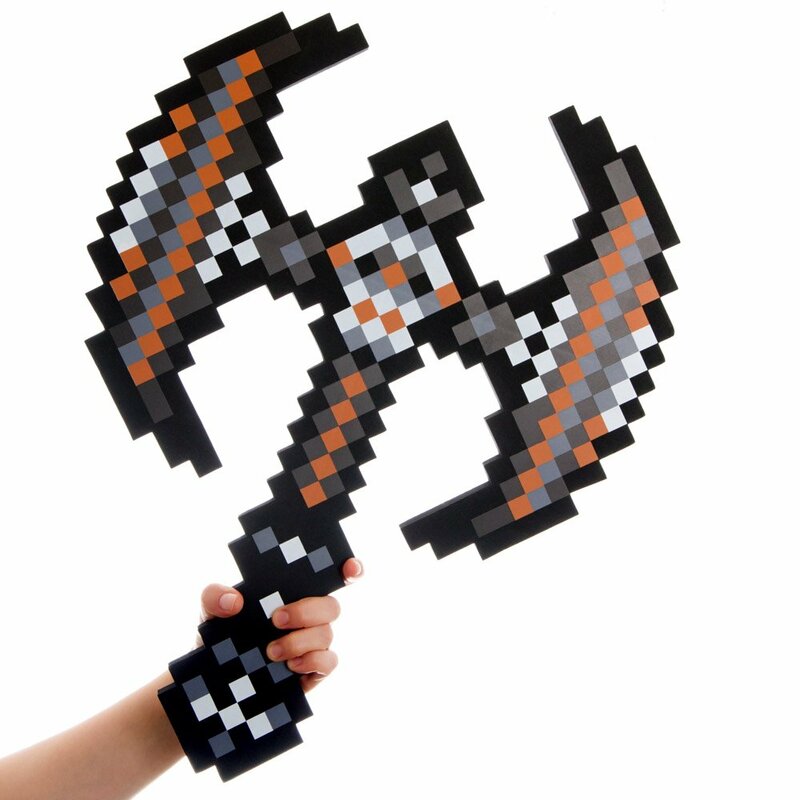 Home › Toys › 8 Bit Pixelated Foam Savage Axe Sword Toy 24"
8 Bit Pixelated Foam Savage Axe Sword Toy 24"
Full size replica of the BLACK pixelated 8 bit SAVAGE AXE. Made of durable EVA foam. Super cool 8-BIT Retro design! stands 24" long. 8 Bit Pixelated Foam Savage AXE Sword Toy 24". Full size replica of the BLACKpixelated 8 bit SAVAGE AXE. Made of durable EVA foam. Great prop or accessoryfor costumes and YouTube videos! a must have for all Comic Cons and AnimeCosplay events! Super cool 8-BIT Retro design! stands 24" long. This is a musthave for all Video Game lovers and makes a great gift for that special retrotoy fan!